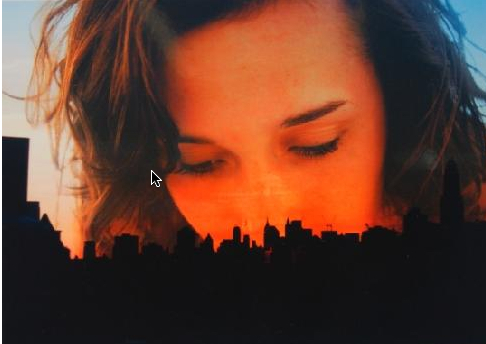 Artwork by Madeline Cravens, student in the teen digital photography class "Altered". Until Fri. Sept, 23: Registration for Gallery/Studio Program and Fall Art Classes at the Brooklyn Museum. Teaching artists guide participants in exploring the museum’s renowned collections, discovering new materials, and creating works inspired by objects in the galleries. Classes include instruction in painting, drawing, sculpture, design, mixed media, and photography. New this semester are sculpture courses inspired by the special exhibition Sanford Biggers: Sweet Funk—An Introspective and the new installation African Innovations, a teen class on interactive art inspired by artist Lee Mingwei’s The Moving Garden, and painting courses inspired by the special exhibitions Eva Hesse Spectres 1960 and Hide/Seek: Difference and Desire in American Portraiture. At the conclusion of each semester there is an exhibition of student work in the Brooklyn Museum’s Con Edison EducationGallery. Registration forms and a detailed list of courses can be found here.